Ask fellow campers about "Palm Beach Traveler RV Park" and nearby attractions. We were here for a week for work and although the spaces are tight, this park was very nice and met our needs. Full hookups and close to everything we needed in the Boca area. Great service and nice quiet Neighbors always a plus. We camped at Palm Beach Traveler RV Park in a Motorhome. Way overpriced for the tight sites where we parked on grass with teensy patio and no picnic table. However, staff and management were very pleasant people. They helped us back into the site (or we never could have done it--needed more than one person to watch all sides and patio. We didn't use the pool or facilities. We were there to visit with family nearby. We camped at Palm Beach Traveler RV Park in a Motorhome. I stayed at this campground for two years. At first it was a nice little park. Then the owner and manager became very greedy and extremely rude. They made up totally ridiculous rules that the place was not enjoyable anymore. Their rates kept going up and offered you nothing. No entertainment. The only thing the park has is a laundry room and clubhouse that are not air conditioned and a very small indoor pool. The manager and owner started watching everything everyone was doing and yelling at them for no reason. The manager is now gone and there is a new couple managing it. They are just as nasty and nickle and dime you on everything. If you want to enjoy camping do not go to this park. It is definitely not worth the price. We camped at Palm Beach Traveler RV Park in a Motorhome. This Park HAS new management!!! They are excellent and very friendly and helpful. The park is all about location! It is close to beaches, shopping great restaurants and all activities. It is an older park but still very nice. It has a very community feel, within a few weeks you will know almost everyone here by name. Often dinner is pot luck at someone's place. People have made comments about the pool but it is nice it is not large but it is as big as most hotels with 200 rooms and we only have 100 sites here. There are shaded sites or sunny sites and they are good, not huge but good enough. There is a large storage area that is also a large dog park which is great. We camped at Palm Beach Traveler RV Park in a Travel Trailer. Interstate is only 2 miles so easy on and off. Beaches only three miles so very convenient. Shopping within a mile. Restaurants close by. New management will be having regular activities on site. If you stay take a walk around the park and everybody you run into will stop and say hi and easily become a new friend. Invite a neighbor camper over for pot luck, this happens all the time here. I stayed at this park for several months due to work. The park itself is decent although there are no real amenities worth mentioning. Power surges were an issue. No table provided. Community Kitchen under lock and key all the time. Sites 45 - 66 had sewer smell and occasional problems. The pool is inside with no deck for sunning. Laundry room is small only four washers and dryers. Any events that are advertised are barely delivered. The main problem with this park is the management. To say they are strict would be a gross understatement. If you happen to go 11 miles an hour or just catch him on a bad day you are going to be subject to a public berating. He has done this to many people and takes retaliatory actions against people who dare to complain about him. He has chased away many seasonal residents and the prices are going up for the next year - through the roof. There are many other parks nearby for less than $1,000 a month with way better amenities within 50 miles either direction. My best advice is to look elsewhere, unless you absolutely need to be in this immediate area. It does not have your classic friendly Campground feel. We camped at Palm Beach Traveler RV Park in a Motorhome. The location is decent in terms of accessibility to the area's features. It's just south of the city of West Palm Beach. Some reviews here say it's a high-end area that would be a big stretch. It is a lower middle-class neighborhood. The manager is a Dr. Jekyll and Mr. Hyde. Find yourself another Park without the potential explosive humiliations. "Good Sam" and other discounts Forget it!! Even if there is a posted sign in the office. The lady just said "NO"
Their business practices for long term are not great. They do not care if there is a change of plans, especially for family emergencies. Make sure you READ THE SIGNS. If you miss one, the guy who helps outside is not nice if your tire is a few inches ahead of the sign that says to STOP HERE. We camped at Palm Beach Traveler RV Park in a Travel Trailer. This is a small park in the Lantana, West Palm Beach area of Florida. You are within a mile and a half of I-95 which makes it perfect for one night or a month. You are also just a few miles away from Palm Beach. The beaches are terrific and the restaurants are decadent. You get to rub elbows with some of the wealthiest people in the world. The park is well laid out. You are greeted upon arrival and guided to your site. If necessary, help is offered in setting you up. The park is old, but kept up well. The pool is indoors. Shade is minimal, so summer camping is hot. But dollar for dollar you're not going to find a nicer campground in a upscale area with this kind of service very often. I highly recommend Palm Beach Traveler Park in the off season. I don't know the cost per night in January, but if is in the $65.00 range, it's still a bargin. We camped at Palm Beach Traveler RV Park in a Motorhome. Palm Beach, Beaches, Restaurants, Sailing etc. This park is all about location. It is close to shopping, golf, etc. We stayed at this park for ten days in January to visit family. A rather small park, located in the middle of a residential area making the sites very tight. We were able to squeeze our 40 foot, fifth wheel into a site with the excellent assistance of a staff member who remained with us to ensure our setup was problem free. Very nice guy! Office staff was very nice and helpful. The park is generally very friendly with lots of dogs. 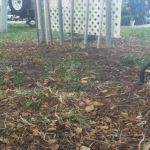 We camped at Palm Beach Traveler RV Park in a Fifth Wheel. We stayed here for 3 weeks and paid $525 a week. This park is very well kept. There are flowers planted everywhere. The roads are paved and very nice. The sites are pretty close together but everyone was very friendly. There is a heated indoor pool, a community kitchen, and a lounge area with satellite tv. The office gives change for the washers and dryers. There are only 3 washers and 4 dryers but I was always able to do my laundry without having to wait and the machines are all new and work very well. The laundry is open all night long. There are activities all the time from line dancing lessons to pizza parties to live entertainment on Saturdays. It is mostly all snowbirds with a handful of full time residents. There is a fenced in dog run area in the storage section of the park. There is also a dog walk trail around the whole edge of the park. The front of the park is a little noisy from the street, and is right next to a daycare that can be noisy when the kids are outside. The managers are helpful, especially with parking because some of the spots are hard to get into. Not the best for an overnight stay. They are all back in sites, no pull throughs. I would definitely stay here again. We camped at Palm Beach Traveler RV Park in a Travel Trailer. Lantana beach is 3 miles away. There is a Walmart a couple blocks away. The Grumpy Grouper and the KeyLime House both have really good food and a fun atmosphere. Very friendly staff. Sites very tight. Must go to hot spot for WI-FI. Mostly snow birds. Clean. Good for dog walk and free run area. Price very high, but it is a case of supply and demand. We camped at Palm Beach Traveler RV Park in a Motorhome. Paid $45/night for full hook-up back-in site. Very nice facility with paved roads, concrete and grass sites. Restrooms and showers very clean. Very strong Wi-Fi. No cable TV, but plenty of stations available via antenna. Very convenient for overnight between I-95 and Florida Turnpike. We camped at Palm Beach Traveler RV Park in a Motorhome. Good park with good facilities, although the rate of $55 was a bit steep. Friendly campers on the site; still to find out why some American RVers dislike sites that French Canadians stay at as I have found them charming and polite so far. Nice little pool and clean showers and restrooms. Would stay again but price should be $40 We camped at Palm Beach Traveler RV Park in a Motorhome. We stayed here for three months and were very pleased with our visit. The owners/managers are very friendly and accommodating, providing a lot of local info and tips for making our stay comfortable. The swimming pool is pretty much simply a very large soaking tub. You can't do laps in it, but it is heated and nice for doing exercises in. If you're staying for a month or more, there are mailboxes available for which you can use a real street address. There are no showers or restrooms. Every resident is expected to have an RV that provides these. A major plus for the resort is that there is a brand-new county library just a couple of minutes walk from the park. The library will provide you with a library card so that you can check out books, videos, etc. They also have PCs available for use to go on the Internet, check e-mail, create and print documents, etc. There is a very large county golf facility just a couple of miles away at which you can take lessons, hit range balls, practice putting, and even play three practice holes. We absolutely loved it here and will become regulars for wintering. We camped at Palm Beach Traveler RV Park in a Motorhome. A clean and very well kept RV park just off I-95, convenient to shopping & centrally located. The managers were pleasant and helpful. The facilities were second to none. The pool was heated and covered with grassy sunbathing area adjacent. There was a very nice club house/lounge area where campers could watch TV, prepare food, play cards, or read from a very nice lending library. The game area for shuffleboard, horseshoes, etc. provided opportunity to meet other RVers. Many of the spots are shaded. All were landscaped with grass and shrubs that were kept cut. The laundry facilities were nice, and an outside line provided for drying, if so desired. Very Pet Friendly with large exercise area and "doggy bags" with trash disposals convenient throughout the park. We stayed here 2 months and would definitely return if we visit that area again. We camped at Palm Beach Traveler RV Park in a Motorhome. This is a well maintained park with mostly seasonal sites. The campground is dog friendly with very strict rules. The staff assists you in parking your rig. It has an indoor pool and is mostly "seniors" although we did have kids parked next to us. For us, it was all about location. It is the only private campground in the area that can accommodate our size rig. We camped at Palm Beach Traveler RV Park in a Motorhome. Are you affiliated with Palm Beach Traveler RV Park ?